Dive into Microsoft Office 2019 and really put its productivity toolsand services to work! This supremely organized reference packs hundreds of timesaving solutions, tips, and workarounds–all you need to make the most of Office’s most powerful tools for productivity and decision-making. 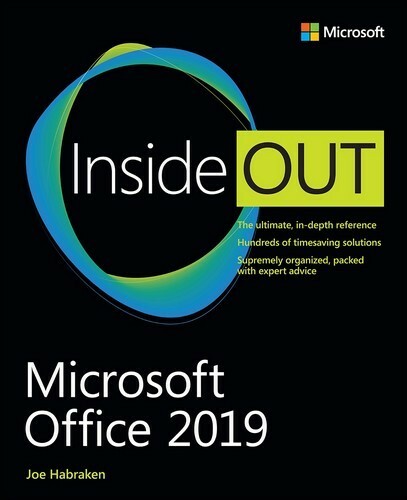 Renowned Office expert Joe Habraken offers a complete tour of Office 2019 and Office 365, with cutting-edge techniques and shortcuts for Word, Excel, PowerPoint, Outlook, Publisher, online Office apps, and more. Discover how experts tackle today’s key tasks–and challenge yourself to new levels of mastery.